What's wrong the Toyota guys? Looks like Joe Btfsplk has been hanging around these guys. Mr. Jinx. Maybe it's just a run of bad luck. Plus too many simply mediocre runs. Or maybe they're just pushing too hard at the wrong time. Denny Hamlin. He crashed his primary at Watkins Glen, then blew an engine in the race. He has failed to finish four of the last eight tour events. Martin Truex Jr. Steady but not that impressive on any given weekend. 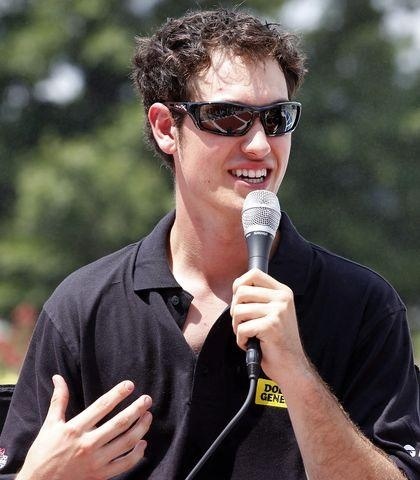 Joey Logano. Won Pocono in June, but his search for a new contract for 2013 appears to be working on his head. Since that win, he's averaging only 20th-place finishes. If he is indeed getting bounced by Joe Gibbs from the Home Depot ride for Matt Kenseth, then what incentive to stay with Gibbs and Toyota? Clint Bowyer. Won Sonoma, but up and down otherwise, and not leading many laps. Mark Martin. Part-time, and loving it. Each, in his own way, seems to be struggling, stumbling or limping toward the Richmond cut. Now Toyota drivers have led more laps this season than Ford and Dodge drivers combined. But the game is really how to beat the Chevy drivers. This sizzling fast two-mile track has typically been a good one for Hamlin; and teammate Busch won here a year ago. So maybe Sunday's Michigan 400 will be a turning point. 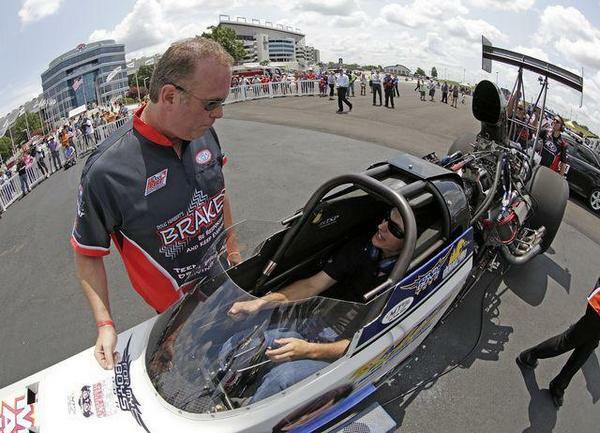 But then Busch broke an engine here early in the June 400, not a good sign. And Toyota engine issues have seemed to come too frequently this season, for some reason. Truex is leader of the pack, sixth in the standings though with no wins. Steady, wants to make the chase. 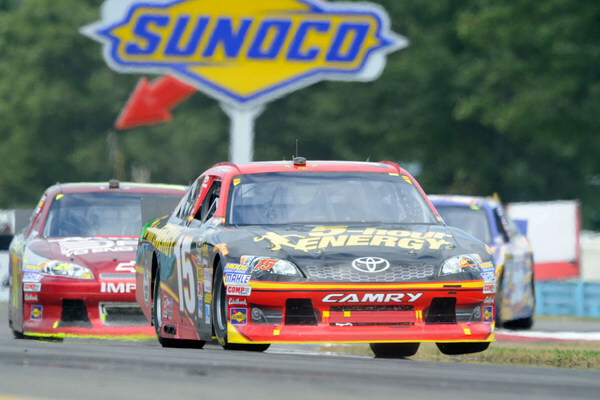 Sonoma surprise Clint Bowyer is right behind teammate Truex in the standings. Hamlin, winner at Phoenix, is 10th and on the hot seat with races to go till the Richmond playoff cut. The top 10 in the standings after the Richmond 400 make the chase, plus the top two other 'winners' who are top-20 in the points. The new asphalt here created tire issues in June, and an unplanned Sunday tire change. Goodyear is coming back with essentially the same tires, just fresher left-sides and thinner right-sides. The left-sides should thus work harder, and the right-sides should not hold as much heat. "The tire we’re going to have is a lot better than what we had there to race with, but not as good as what we had to practice with (in June)," Hamlin says. "But you figured they were going to cut it right down the middle. "We’re not going to have issues -- looking at tire temperatures from the test (two weeks ago), they were 30 or 40 degrees cooler (than the June tires), and the temperature was hotter. "Plus left side wear is virtually nothing." Toyota should be hot stuff here, because the marque has won four of the last six at this track. However in June Chevy's Dale Earnhardt Jr. won in a solid performance, and Chevy teams -- that is, Rick Hendrick's Chevy teams -- have dominated the stock car tour since May. Busch has been the curious one this season, sometimes seemingly just loping along waiting for the playoffs and trying not to make mistakes or get in trouble. Now however he is in danger of not making the playoffs. 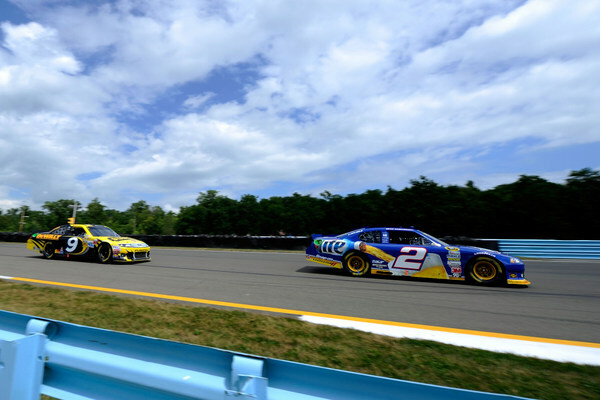 He was blitzing the field last weekend at Watkins Glen, till that oily controversy marred the finish and let him seventh, after leading 43 of the 90 laps. That win would almost certainly have put him in the playoffs. Now he probably has to win one of these next four -- Michigan, Bristol, Atlanta or Richmond. 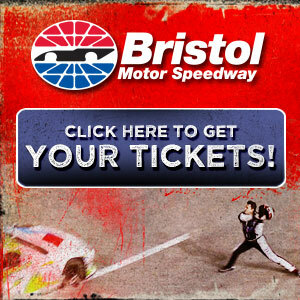 Bristol of course should be his ace in the hole. But the Joe Gibbs camp has plagued with mechanical issues this season. So this 400 could be crucial -- in showing that the Gibbs teams can rise to the occasion. Busch, Ryan Newman, Jeff Gordon, Marcos Ambrose, Joey Logano and Kasey Kahne are all vying for the two wild cards spots. And the answers will likely come only from wins. And Ambrose, with his win at the Glen, has put himself into position too. Remember how fast he was here in June? And he's got incentive, because team owner Richard Petty needs to persuade Ford to renew its contract for 2013...and with Roger Penske joining Ford next season, the money may be thinner. "If we had had track position at the end, we would have pulled away from Kyle. Even around these places, aero is a big thing, because you can't get air on the brakes, can't get the nose down (to turn). "We could chip away at him, but I was just burning my stuff up to catch him at the end. "I knew I was toast; I was in trouble. "I tried to chase Kyle down, but he wasn't making any mistakes, and he had a fast car. "Then the oil came, and I slipped to third. I just put my head down, kept trying...and made less mistakes than the other two, I guess." Submitted by Gregg on Fri 08/17/2012 - 07:05. I was never fan of Toyota being allowed to come into nascar, and hated that Joe Gibbs switched from Chevy to Toyo, I hope the struggles continue for many more years. All you have to do is watch the history channle and remember Pearl Harbor, any true american would feel the same way i do. The Toyota teams, drivers, etc, are all pig sellouts are far as im concerned. Submitted by paul on Fri 08/17/2012 - 08:00. Gibbs hasn't been very impressive since going to trd's motor program.I look for them to go back to their own motor program next yr. Submitted by Lance on Fri 08/17/2012 - 17:46. Gregg, I am a true American and I say let Honda come too.I notice that you conveniently left out Dodge despite the fact they are Italian owned and they weren\'t our buddies in WW2 either. That was 70 years ago. Japan is our ally....maybe our strongest ally. I am a true American that believes in a free market. Toyota makes a quality product and brings a quality racing program to the plate. Why would you not want them in NASCAR?